Melbourne deserves its place as one of the most cultured cities in Australia. It has a cosmopolitan atmosphere and is considered to be the most "European" Australian urban centre. Featuring excellent public transport facilities, a high standard of education and great commercial opportunities, it is a very interesting place to live and visit. Melbourne generally has a continental climate with unpredictable weather. It can be warm one day and cool the next. The weather in summer tends to warm up around late January with temperatures rising to 40 degrees centigrade on some occasions. 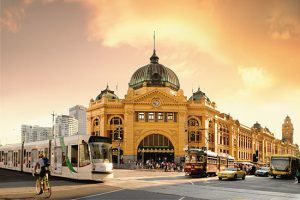 Melbourne has a vibrant nightlife as well as many other attractions.With so many options, there is always something to do. Beaches: St. Kilda, Port Melbourne, Williamstown. 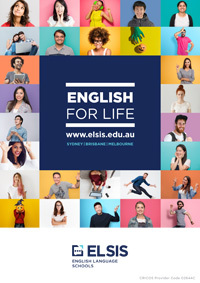 For more information please visit the City of Melbourne Council. Melbourne has well-developed public transport facilities for the inner city and outer suburbs. See Public Transport Victoria for all information regarding trains, trams, buses and the new ‘Myki card which is now used for all public transport. It is a card similar to a credit card which you tap against the receiver when you enter the train station/tram/bus, and tap again as you get off. Myki’s can be purchased at major train stations and local 7 Eleven stores. You can buy or put money on your myki card on the Myki website, or by calling 1800 800 007, or at a Myki machine. Taxis are another option although they can be quite expensive for longer trips. Bicycles are an affordable form of transport and quite common in Melbourne. You can ride your own, or use public bicycles located throughout the CBD. Information on public bicycle paths can be found at Bike Paths and Rail Trails. Some rules to remember when riding bicycles are that an approved safety helmet must be worn, they cannot be ridden on a footpath, they must be fitted with a horn and working brakes, and when riding at night they must include front and rear lights and a reflector to make yourself visible to other vehicles on the road.